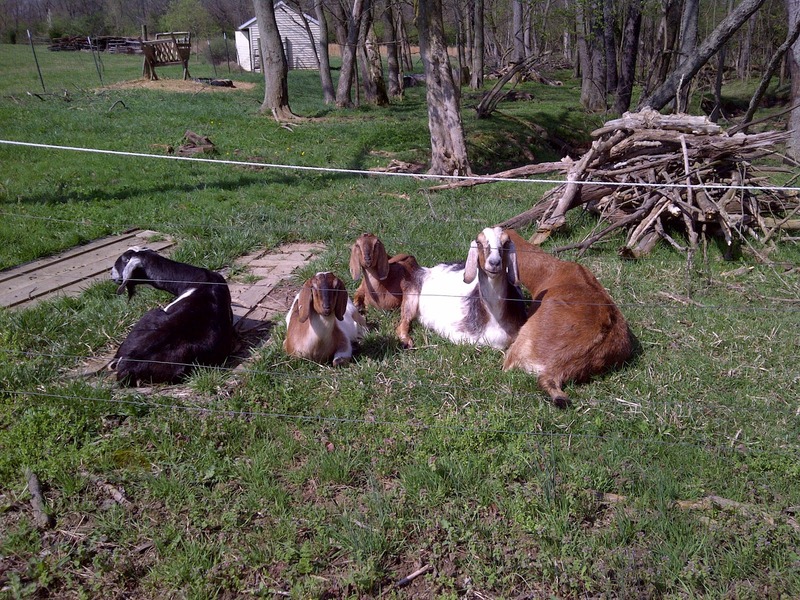 A Life On--and After--the Farm: You Can Never Have Too Many Goats! 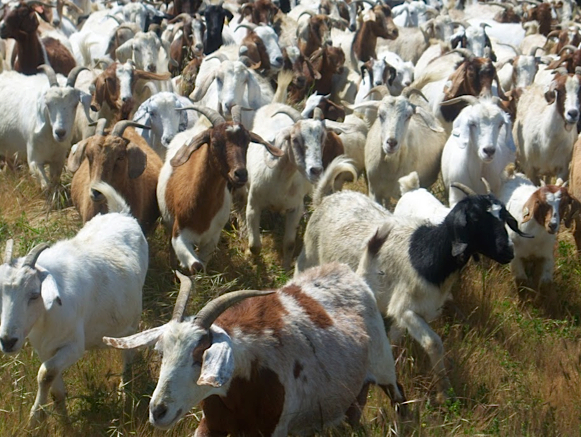 You Can Never Have Too Many Goats! Well, I suppose one could have too many goats, but we certainly didn't. 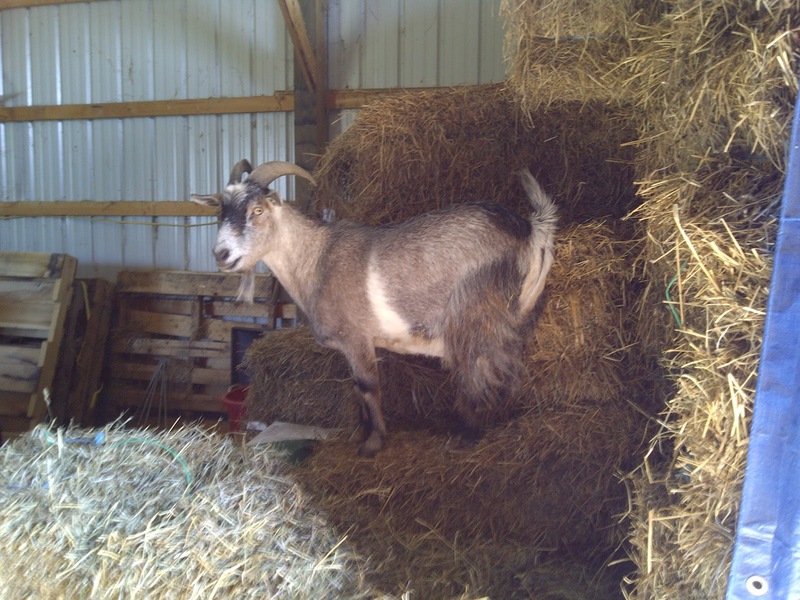 After losing half our herd over a few short years, we didn't have enough goats to keep up with the work load. The woods were becoming overgrown, beginning to look like... well... woods. Introducing Stitch! We quickly discovered that Stitch's coat was so dense, he could not feel the electric fence. YIKES! That means we have no way to contain him. 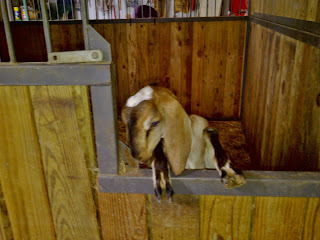 We tried introducing him to the other goats, but he was as scared of them as they were of him! Every time we took him into their pasture, he would just run out through the fence! But guess where he ran? Maggie Mae is beautiful, I agree. It seems other critters think so, too. Stitch immediately took up with her, and would follow her wherever she went. Separate them and Stitch would cry and go running back to her. Since the fence won't contain him, he pretty much goes wherever he wants. So that means every time I go for a ride on Maggie, Stitch goes with us. 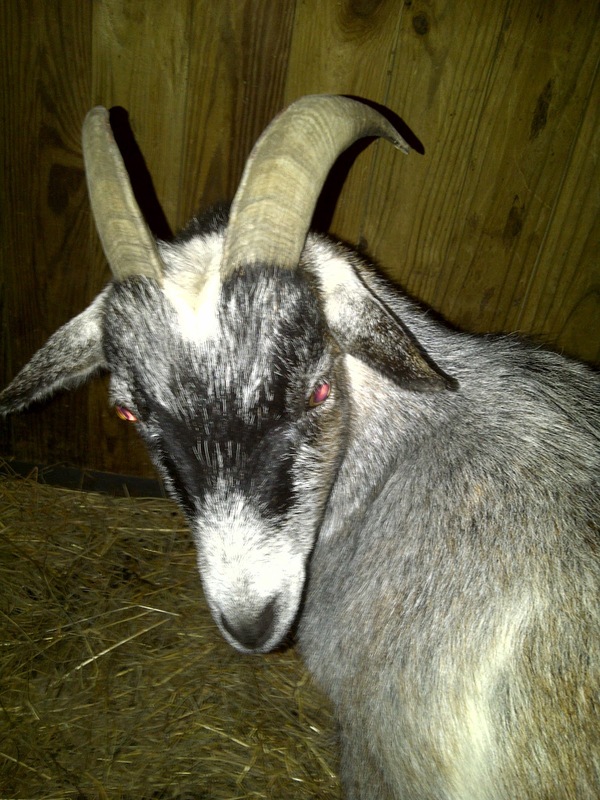 At first, he clung so closely that my feet would kick his horns! Now he will let us get several yards away at times. 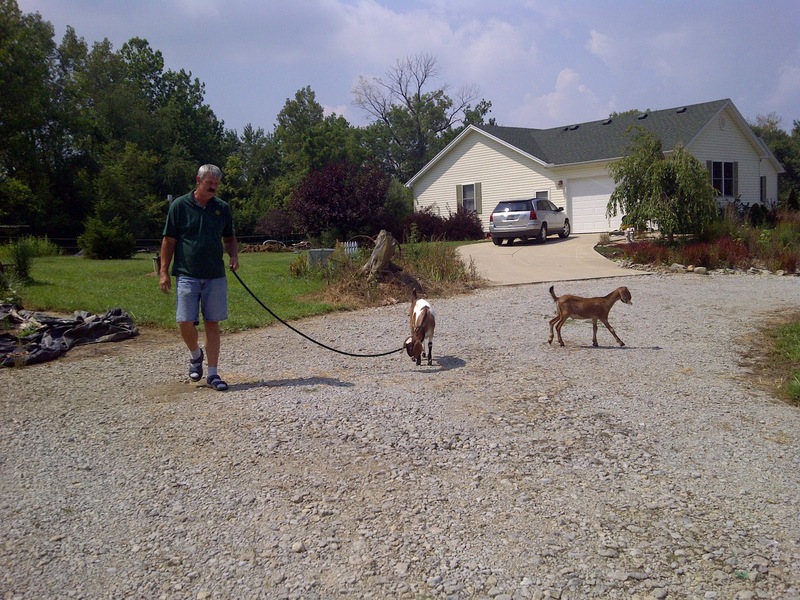 The neighbors get a kick out of seeing me coming on the horse, accompanied by the goat and the dog. It didn't take them long to learn to walk on a leash. Mr J would take them to the small pasture surrounding the chicken house every morning. Once the babies were big enough, we gently introduced them to the herd. It took a little time before we could finally leave them there all day, and then eventually all night. Now they are one big happy family. Look for future posts about other changes to our fur family! I love this story. What a great post, thank you for introducing me to your goat friends. 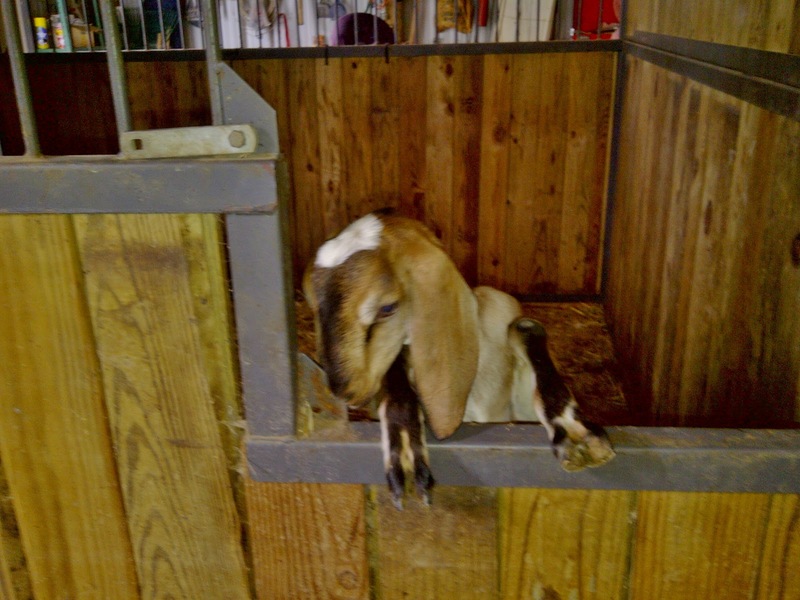 Goats are such cuties, if I could I would have goats. I love that story of Stitch and Maggie. Goats have such sweet calm faces. DJ and Brownie are my favorites in the last picture, but all are special. p.s. Sasha wants to know how Sadie is doing. Well, things sure have changed!